Until relatively recently, December was a month when many smaller, independent labels didn’t release any new albums or reissues. Instead, they waited until January before releasing their next batch of new releases. This was a pragmatic approach, and made sense economically. Previously, December tended to be a month when the major labels released many countless compilations, greatest hits, best of and box sets for the Christmas market. Usually, these releases were a mixed bunch, and could be described as the good, the bad and the ugly. Many of these releases were of dubious quality, especially the compilations and budget box sets that the major labels release each year. They’re targeted at the occasional CD buyer, or someone looking for a present for the music lover in their life, and can usually be found in the bargain bin by Boxing Day. However, this year, there was a much better selection of music on offer during December. This year, though, many of the smaller, independent labels decided to release new albums and reissues during December. Rather than hold albums back to January of 2018, they released new albums, compilations and reissues during the first couple of weeks of December. Label managers hoped that many of these albums would be given as Christmas presents, and in the process, boost their company’s balance sheet. Some record companies continued to release albums right up until a few days before Christmas, with Biophon Norway reissuing Biosphere’s 2002 album Shenzhou as a double album. On the first disc is Geir Jenssen’s ambient concept album, where ten of the twelve tracks were based on the work of classical composer Claude Debussy. The second is CD is entitled The Samphire Tower, and features nine ambient soundscapes, which Geir Jenssen composed for the 2005 opening of the Samphire Tower in Kent, England. This was just the latest piece of music that Geir Jenssen had written during a career that began in the early eighties. Geir Jenssen was born on the ‘30h’ of May 1962, in Tromsø, a city within the Arctic Circle in the most northerly part of Norway. Growing up, Geir Jenssen discovered electronic music, including Brian Eno, New Order and Depeche Mode who would later inspire him. Discovering electronic music was a life-changing experience, and opened up new world for Geir Jenssen. Initially, Geir Jenssen was content to discover the different types of electronic music, and embarked upon a voyage of musical discovery. Eventually Geir Jenssen realised that he wanted to go from listening to, to making electronic music. In 1983, Geir Jenssen purchased his first synth, and before long, had composed his first piece of music. It was influenced by his archaeological studies, and specifically his studies of the Ice Age and Stone Age. This would continue to influence Geir Jenssen’s music throughout his career. Just a year after buying his first synth, Geir Jenssen was preparing to release his debut album. By then, he had dawned the E-man moniker and was preparing to release his album Likvider on cassette. Little did Geir Jenssen realise that this was the start of a recording career that would span thirty-five years. By 1985, Geir Jenssen was a member of Norwegian synth trio Bel Canto, which featured Anneli Drecker and Nils Johansen. Bel Canto was signed by the Belgian label Crammed Discs, the group relocated to Brussels. However, before long, Geir Jenssen returned home, where he divided his time between his solo career and his work with Bel Canto. With the members of Bel Canto based in two different locations, this could’ve spelt disaster for the band. It wasn’t. Instead, this was the start of a long distance collaboration between Geir Jenssen and the rest of Bel Canto. In those pre-internet days, the collaboration took place via post, with Geir Jenssen and the rest of Bel Canto exchanging ideas for songs via letter. This long-distance collaboration proved fruitful, and in 1987 Bel Canto released their debut album. White-Out Conditions. It was followed in 1989 by Birds of Passage which is regarded by many as Bel Canto’s finest album. However, a year later in 1990 Geir Jenssen left Bel Canto and changed direction musically, using a sampler for the first time. During the late-eighties, Geir Jenssen had adopted the alias Bleep, when he released several 12” singles of ambient techno. However, it wasn’t until 1990 that Bleep released his debut album The North Pole by Submarine. It was the only album that Bleep released. By then, Geir Jenssen had decided to change direction, and move towards ambient music. To do this, Geir Jenssen adopted a new moniker, Biosphere and initially, some of his early compositions were released by compilations released by Norwegian labels. It wasn’t until 1991 that Biosphere’s debut album Microgravity was released by Origo Sound. Microgravity was an album of ambient house and proved popular within clubs. This was ironic, as SSR an imprint of Nettwerk who had previously released Geir Jenssen’s music, had rejected Microgravity calling it “unmarketable.” Geir Jenssen had the last laugh as his career soon blossomed. In 1993, Biosphere returned with the first soundtrack of his career, Eternal Stars. This was the first of several soundtracks that Biosphere would compose over the next three decades. Four years after the release of Microgravity, Biosphere returned with his sophomore album Patashnik in 1994. It found Biosphere continue to explore the ambient house sound that featured on Microgravity. One of the highlights of Patashnik was the uptempo track Novelty Waves which was spotted by marketing executives at Levi Strauss & Co. in 1995. They used Novelty Waves as part of their marketing campaign, which introduced Biosphere’s music to a new audience. This resulted in Novelty Waves being released as a single and giving Biosphere a hit single in several countries. For Biosphere this was the break that he had been waiting for. When Biosphere returned in 1997 with Substrata, which was released on All Saints Records, it showcased a very different sound. Substrata was Biosphere’s first ever ambient album, and nowadays is regarded as a genre classic. It’s a cinematic and sometimes chilling album that paints pictures of an Arctic landscape that is punctuated by mountains and glaciers. Biosphere then adds the sound of running water and the howling winds as he portrays life in the Arctic Circle during the winter months on Substrata. It marked the coming of age of Biosphere as a musician. Later in 1997, the Norwegian film Insomnia was released, and came complete with an ambient soundtrack by Biosphere. This was his second venture into the world of soundtracks and showcased his new ambient sound. However, although the much of the music was ambient, sometimes, a darkness descended which complemented the film. Biosphere’s soundtrack to Insomnia found favour amongst critics. Three years passed before Biosphere returned with his fourth studio album Cirque, in 2000. It veered between the ambient sound on Substrata, and the ambient house that featured on Microgravity and Patashnik. Cirque was released to critical acclaim and was regarded as a fitting followup to Substrata. In 2001, Biosphere released his ambient soundtrack to Dziga Vertov’s 1929 film Man With A Movie Camera. It had been commissioned by the Tromsø International Film Festival in 1996, and recorded later that year. However, five years passed before Biosphere’s ambient soundtrack to Man With A Movie Camera was released. By then, Biosphere’s popularity was at all-time high and he had matured as a musician. It was as if everything was leading up to Biosphere’s ambient concept album Shenzhou. When Shenzhou was released on the ‘3rd’ of June 2002, it was hailed as Biosphere’s Magnus Opus, and an album that managed to surpass the quality of Substrata. Shenzhou was also something of a stylistic departure for Biosphere. Ever since he released his debut album as E-man, Geir Jenssen had been inspired by a variety of subjects, including his archaeological studies, and especially his studies of the Ice Age and Stone Age. Since he dawned his Biosphere moniker Geir Jenssen had been inspired by the place he grew-up, and still called home, Tromsø, which was situated within the Arctic Circle. It had inspired his genre classic Substrata, which was released in 1997. However, Biosphere’s inspiration for much of the music on Shenzhou was the composer Claude Debussy. Ten of the twelve tracks on Shenzhou were based on the work of classical composer Claude Debussy. His music provided the inspiration for Biosphere as he began recording his fifth studio album, Shenzhou. It featured a much more minimalist sound than any of Biosphere’s previous albums or soundtracks. Although he had decided to adopt a less is more approach, Biosphere used many of the same instruments and sounds that featured on previous albums and soundtracks. The combination of sampled Debussy strings and Biosphere’s carefully sculpted glacial, ethereal synths proved a potent combination on this cinematic concept album Shenzhou. When it was released on the ‘3rd’ of June 2002, Shenzhou was hailed as Biosphere’s finest hour. Shenzhou set the bar high for Biosphere’s future albums, and was the album that future albums were compared to. 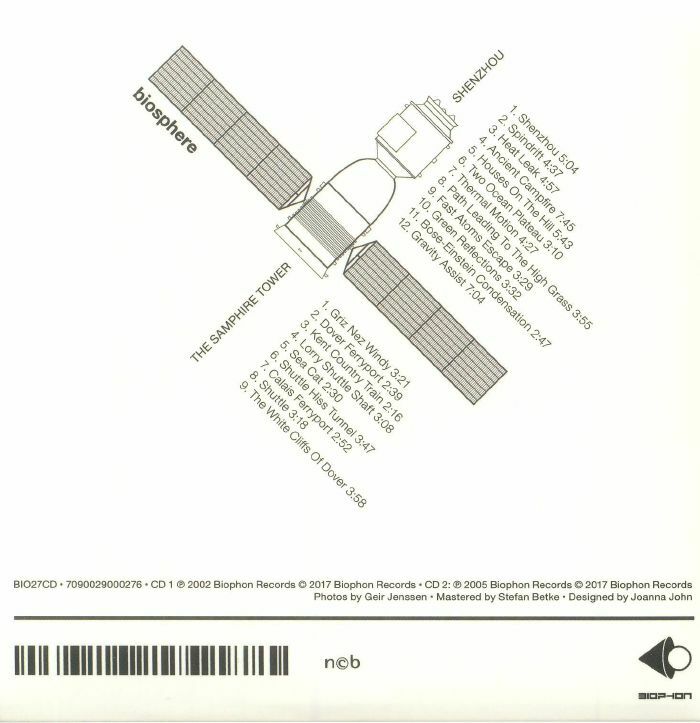 When Biosphere released Shenzhou in 2002, it was his first concept album, and featured what was a much more minimalist sound. Just like on previous albums, Biosphere used an array of synths which were part of his trusted sonic palette. They were combined a new addition to his sonic palette, sampled Debussy strings. They were combined to create what’s essentially a fusion of ambient and classical music. As the title-track to Shenzhou unfolds and opens the album, waves of beautiful, ethereal music ebb and flow hypnotically, washing over the listener as this fusion of ambient, classical and drone music makes the world seem a better place. This is the start of an enchanting musical journey where listeners discover the minimalist delights of the twelve cinematic soundscapes on Shenzhou. This includes the dreamy, enchanting and mesmeric Spindrift, which gives way to Heat Leak, where washes of glistening synths combine effectively with a jittering drone. Field recordings are used during the cinematic sounding Ancient Campfire. House On The Hill finds Biosphere deploying dreamy glacial synths on a carefully crafted hypnotic sounding soundscape. By comparison, Two Ocean Plateau has a dark, dramatic, and almost gothic sound. It’s a reminder that much of Biosphere’s work at that time was soundtracks, which seems to have influenced Two Ocean Plateau. The same came can be said of Thermal Motion which also has a dramatic cinematic sound where Biosphere combines washes of synths and field recordings. On Path Leading To The High Grass, Biosphere combines strings and synths to create one of Shenzhou’s highlights. Biosphere paints pictures as he combines elements of ambient and classical music to create a captivating, cinematic and spacious soundscape that is also haunting, ethereal and beautiful. Equally cinematic is Fast Atom Escape where waves of genre-melting music assail the listener. The main influences are ambient and classical music, although there’s also a liturgical sound to this mesmeric, thought-provoking track. Green Reflections is the final track inspired by Claude Debussy’s music. Ambient, classical and drone music combine on this hopeful and ruminative sounding track. While neither Bose Einstein Condensation nor Gravity Assist were inspired by Claude Debussy’s music, they certainly don’t sound out-of-place. Especially, Gravity Assist which sounds as if it belongs on the soundtrack to a sci-fi short film. That comes as no surprise, as Biosphere had already written three soundtracks by the time Shenzhou was released. Fifteen years after the release of Shenzhou, Biosphere’s fifth studio album was reissued in late December 2017 by Biophon Norway as a double album. On the second CD is The Samphire Tower, which features another nine ambient soundscapes penned and produced by Geir Jenssen. These soundscapes were used for the 2005 opening of the Samphire Tower in Kent, England. These nine soundscapes, which feature titles like Griz Nez Windy (The Samphire Tower), Dover Ferryport, Kent Country Train, Sea Cat and The White Cliffs Of Dover, are part of another music journey. This time it’s around the county of Kent, which is the Garden of England. Just like on Shenzhou, The Samphire Tower is cinematic and rich in imagery and is a welcome addition to this reissue. For anyone yet to discover Geir Jenssen’s music, and specifically the music he has made using his Biosphere moniker, then Shenzhou is the perfect starting place. With its fusion of ambient, avant-garde, classical, drone music and musique concrete Shenzhou was regarded by many critics in 2002 as Geir Jenssen’s finest album. That is still the case today, some fifteen years after the release of Shenzhou. When Shenzhou was released in 2002, it followed in the footsteps of Substrata which was released in 1997, and quickly, became a genre classic. That came as no surprise to those who had been following Biosphere’s career. 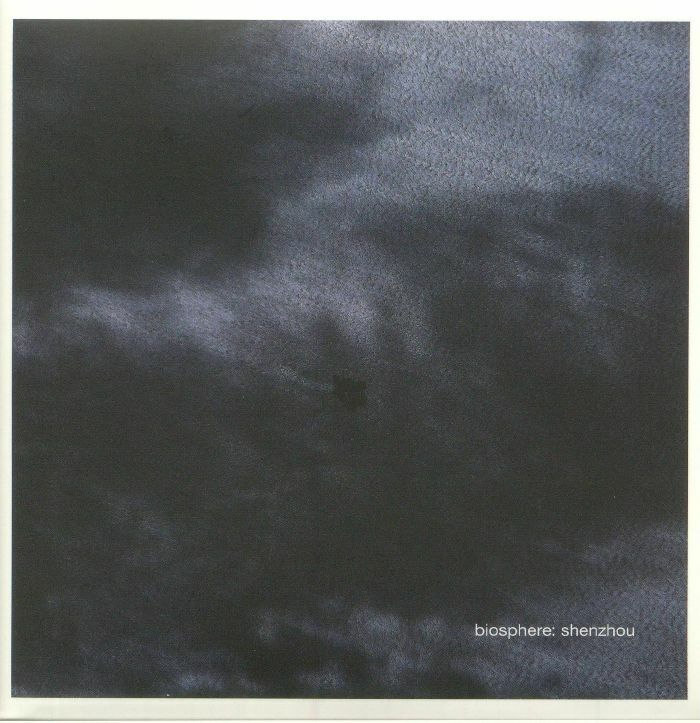 By 2o02, Biosphere was talented and innovative composer and producer who sought inspiration from a variety of sources. This included the classical composer Claude Debussy on Shenzhou was an almost flawless fusion of glacial synths, lush subtle strings, samples and field recordings. They were combined by Biosphere to create Shenzhou, a captivating and cinematic album which was variously beautiful, dreamy and ethereal, but also dark, dramatic and eerie. Other times, the music on Shenzhou was futuristic, haunting, lysergic, minimalist and otherworldly. That is still the case fifteen years after the release of Shenzhou, which was the second genre classic of Biosphere’s career.